The University of Cambridge now has trial access to JoVe, including all the different collections in JoVE Journal and JoVE Science Education. 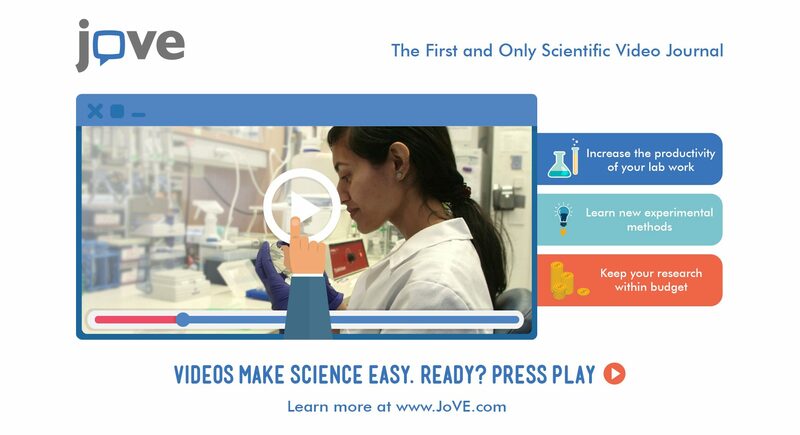 JoVE is resource providing video demonstrations with protocols in the physical and life sciences. Access the trial on campus via https://www.jove.com/. This link should also work for NHS members of the Medical Library when using Medical Library computers. You can also create an account if you use an email address in the Cambridge domain – @cam.ac.uk – which will provide access for the trial (“Create an account” on the green LOG IN tab). Trial access is open now and ends on 25 February 2019. Please tell us if and how JoVE has been or would be useful to you in the future by completing this feedback form. The University currently subscribes to the JoVE collections in Biology, Neuroscience, and Immunology and Infection. The trial provides access to all the published collections in JoVE. There are also off-campus options for access for University of Cambridge staff and students (anyone with a Raven login). Use this link off campus or select the option to sign in via Shibboleth (Institutional) login on the JoVE site (green LOG IN tab top right and then “Sign in with Shibboleth” option).